Here are some links to words about the release out and about there on the internet. Drop by and check out so many other great releases mentioned! A companion to his previous CD, Fluxes, Deane Hughes’s new instalment continues his exploration of source material gathered during a six month journey through Central America. Presumably he spent his time recording in scrapyards and at the bottom of disused water cisterns, because there’s a merciful absence of Aztec mysticism here — no choruses of exotic birds, no painfully authentic ritual chanting. 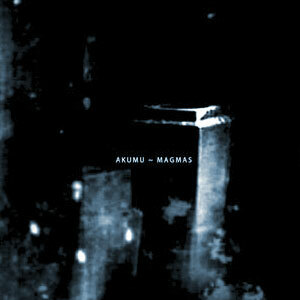 Instead, Magmas is a classy construction of metallic atmospheres and subtle, whispering beats. Over ten richly layered pieces, Hughes and his production cohort Jeff McMurrich steadily increase the tension, plunging in slow-mo into the heart of a particularily bad trip on the best track “Arrhthmica”. 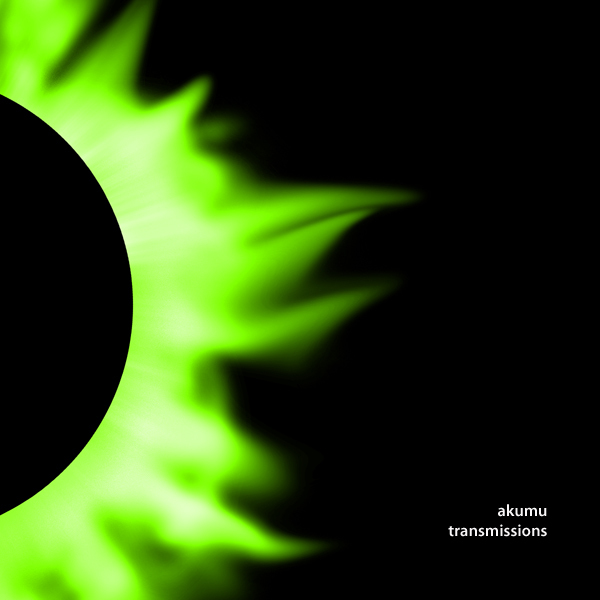 Happily, Akumu resist the temptation to fall back on the easy option of merely spooking the listener with graveyard creepiness. There’s a wealth of tantalising detail hidden in this music’s folds and creases. Akumu (a.k.a. Deane Hughes) makes dance music, but not for your feet — more for the hairs on the back of your neck. Deep bass throbs and tiny bursts of static float through Magmas like echoes of old house tunes seeping through re-recorded cassettes. Ethereal ambient sounds hover in the distance as electrical lines buzz and stutter in the sonic foreground. Akumu’s new album is just as delicate and minimal as last year’s Fluxes, but Toronto native Hughes’ move toward a more beat-driven sound makes Magmas even more arresting than its predecessor. It occupies the same intimate sonic space as a lot of bedroom electronica, but where most bedroom jocks favour overstuffed, rococo messes, Hughes shapes his tracks using simple broad strokes. Such elegant simplicity isn’t new to dance music, but in the laptop world it’s a rare and precious thing. 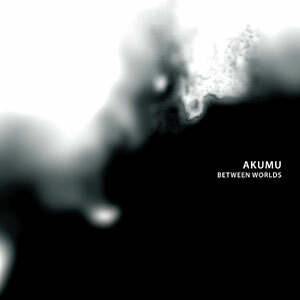 Akumu’s third full-length album since beginning to record and self-release on his Spider Records back in 2000 finds him making fog-laden waves of atmospheric ambience and deep burbles of techno glitch-ery that don’t hold back on the bass-heavy depths. The bass on Magmas rolls back and forth, over and around like an organism itself. This could be because the man behind Akumu (which is Japanese for “bad dream”), Toronto’s Deane Hughes, is fascinated by “the underlying mechanic of things, what lies beneath, the way things evolve,” which is made beautifully apparent in the lifelike way Magmas unfolds, moves about, grows and recedes. Electronic glitch sounds and rotating rhythms emerge from a disassociated beginning, then multiply and seem to grow more hostile as they march forward in the slow-building mix of “Aguanatural.” They then disperse into calm stillness on the “Microscopes” interlude and take up the march again with “Alarma,” only to be deposited into cool yet ominous waters on “Landschap XIX.” This is but one lengthy example of the smooth progressions that fill out Magmas, but this album is by no means limited to simple oppositions or now-you-hear-it-now-you-don’t trickery. Rather, Magmas lives and breathes a life of its own. Here are some nice things people had to say about “Fluxes” when it came out. 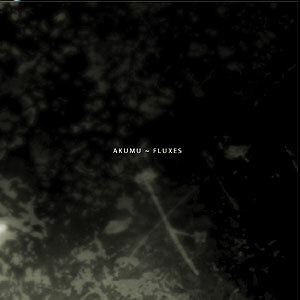 Composer Guy Klucevsek described minimalism as “the search for the unknown inside the familiar.” The brittle pops and ringing feedback that form the sonic vocabulary of Akumu’s second album, Fluxes, are indisputably familiar to click ‘n’ cut-inundated bedroom electronica fans but the results are thrillingly foreign. Where Oval might contrast the chattering in “Evovle (Part 2)” against a wooly white noise, Toronto’s Deane Hughes presents them starkly with a handful of low bell tones to support their sickly crackles. Tracks like “Quietly Disruptive” evoke sheer dread, which is impressive considering the absence of shock treatment (ahem, Merzbow). Your iPod’s shuffle function would be wrong to put this on while you shop for groceries, but Fluxes deserves high marks in the ongoing competition for Best Soundtrack to an Imaginary David Cronenberg Movie. Minimalist aesthetics have a way of highlighting the most distracting irrelevancies. The information that Toronto’s Deane Hughes has sourced material for his second album from binaural field recordings made in Guatemala, Honduras and Mexico may excite interest; and the handcrafted Japanese paper gatefold it comes in may also delight. However, it’s the foregrounding and fine grain he brings to some of his sounds that will keep the senses most alert. Raising neat hackles across the skin that is by now used to being stretched to the digital limits of elasticity, Hughes offers a little more than the usual laptop protractions. Watch out for a slow-beat version of the same material at a later date. The latest ambient, zero-BPM effort from Toronto musician and sound designer Deane Hughes, aka Akumu, is gloriously meticulous. Build on recordings from trips to Guatemala, Honduras and Mexico, Hughes’ music reaches deep to immerse the listener in the dreamlike bustlings of the jungle floor. Instead of insects and lizards, Hughes’ microcosm crackles with digital chirps and analog hisses, synthetic sinewaves take the place of tropical winds and samples of Mexican markets and Mayan preachers are transmogrified into ethereal drones and alien textures. Excellent. 8/10. Toronto’s Deane Hughes and Jeff McMurrich team up to produce 49 minutes of dark, ambient soundscapes using field recordings from Guatemala, Honduras and Mexico (though it sounds more like the dark side of Pluto). 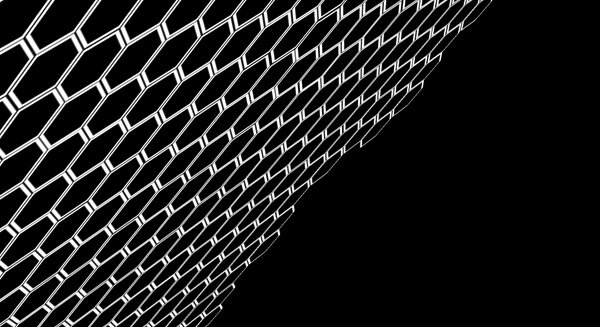 Drones and static undulate slowly, creating a state of digital tension; faraway voices, sudden metallic boings and insect-like clicking, panning from left to right, life the listener into an altered state. While this certainly ain’t relaxing (it gave me nightmares when I tried sleeping to it), it’s not as disjointed as so much glitchy, minimal ambient music is nowadays. A lullaby for a homicidal 23rd century robot. For the sake of completeness (well, eventually it will be complete) I’m posting some of the past reviews from the first Akumu Self-Titled CD. People had some very nice things to say and I’d like to thank them a lot! So, thanks! This debut release is one of the most promising that I’ve heard in some time. The music is both soothing and provoking and jumps between various genres. From downtempo to drum ‘n’ bass to instrumental hip-hop rhythms, it covers many bases and leaves you feeling like you have taken a journey of sorts, one that takes you to a different place — through the inside. A marvelous debut release from this Toronto artist, AKUMU presents an altogether appealing and masterful collection of modern electronic sounds ranging from heavily-rhythmic dub and drum & bass grooves to cinematic ambience. 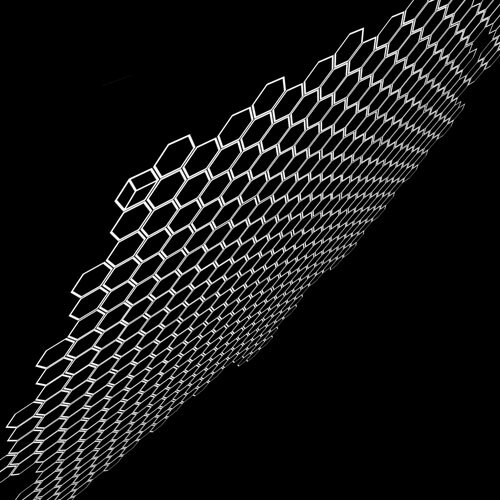 This is a fascinating and (more often than not) exciting blend of various electronic and (mostly dark) ambient music styles, from drum and bass to breakbeats to dub to more abstract subgenres. The disc is very well-engineered and it caught my attention the first time I played it. Spiced with just the right amount of tasty percussion, this self-titled debut from ‘akumu’ easily slips into a lush, hour-long electronic reverie. 10 tracks from deane hughes feature down-tempo grooves which dwell within lovely (sometimes darkly so) ambient spaces; very nicely produced and packaged. 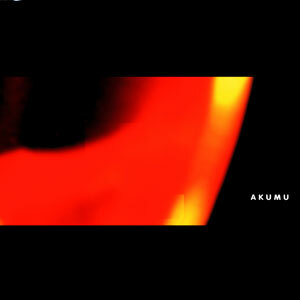 Like the fiery red images blurred over a void-like backdrop, the sounds on Akumu’s debut album are darkly passionate. The ten-track instrumental excursion sounds it was like recorded in a dungeon. However, Akumu’s impressions of this sonic wasteland are not only listenable, but beautifully imagined. It’s very rhythmic and often sounds like what industrial (in both the Skinny Puppy and Neubaten sense) could be if it tried to keep up with drum & bass and dub.